This is the first sign of Autumn’s arrival. 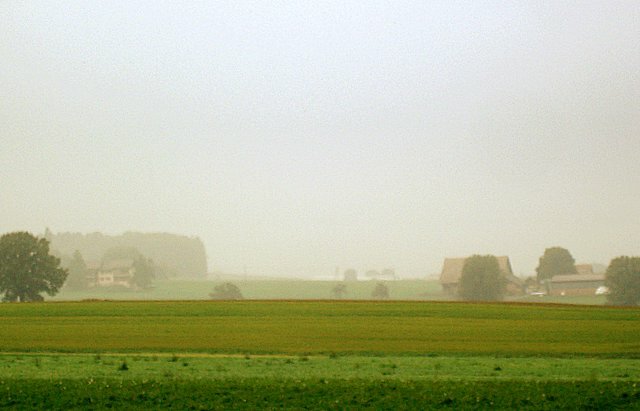 A light mist over the landscape. The humidity covering the grass, quite different as the dew of warmer days. Subtle shades on a green landscape and this nip in the air that makes you look for a sweater and go for the morning walk with the dog. 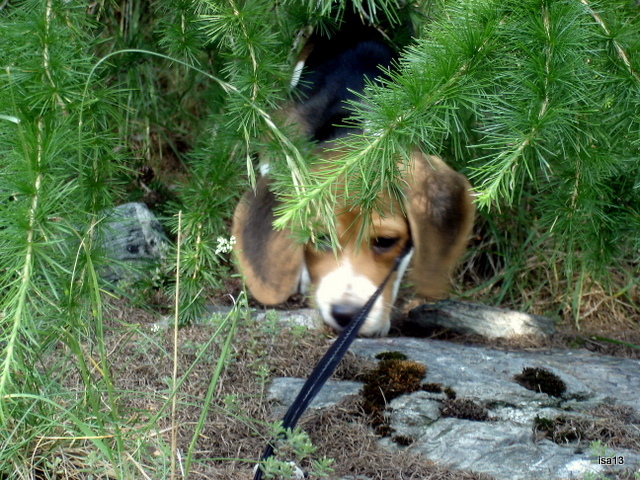 Nino-the-beagle would not feel this new cold though, too busy looking for new tracks and his nostrils filled with scents of the hunting season. Laura Diaz and Mari are two characters that could not be more further apart. 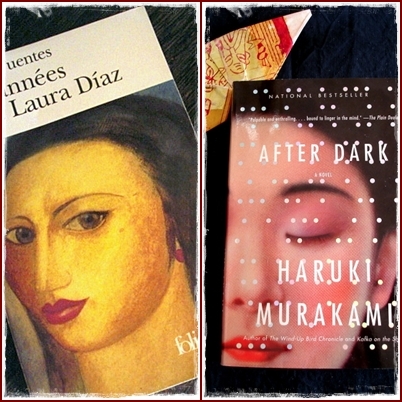 Carlos Fuentes (Mexico) and Haruki Murakami (Japan) are also two favourite writers of mine. Both readings were fascinating and yet, how different their main characters. Laura Diaz is the passionate woman who fascinated me in Carlos Fuentes’ book : “The Years with Laura Diaz”. Mari is a shy and rather reserved young person around whom Haruki Murakami wrote an eerie novel, “After Dark”, a book you cannot put down easily. In fact I read it in a few hours, almost in the story real time. Laura Diaz lives mostly in Mexico whereas Mari’s story is set in Tokyo. “After Dark” is a story of encounters in the hours between midnight and 7 am on a particular night. “The Years with Laura Diaz” lead you all along the 20th century and the main events that marked that period. Tetsuya Takahashi is Mari’s encounter during that night. The men in Laura Diaz’ life bring her to various places in Mexico, North America and Europe. The writing style of these two books is very different too. In Carlos Fuentes’ novel it is flamboyant and very descriptive, South American writers excel in it. In “After Dark”, Haruki Murakami writes about reality or dreams with a more concise style and shorter sentences, always making you want to read further and see beyond the story itself. Laura and Mari are women you get attached to until the last page. I almost regretted closing these two books, wishing that the story would go on and on. Imagining another end. Laura, Mari will stay with you for a good while should you decide to read those novels. A French poet from the XVI century, Pierre de Ronsard (1524-1585) whose poem “Mignonne, allons voir si la rose…” inspired me for my first “watercolour” quilt. It is the first quilt that I dared sending to an exhibition in France. It is also a quilt I sewed for my only and favourite sister, Françoise. So much fun to sew, first choosing amongst the many flowery fabrics in my boxes. Picking red, white and pink roses and sewing them in the garden of my imagination. Would dear Pierre have liked it ? Maybe. I hope so because his poetry was very much part of my inspiration. 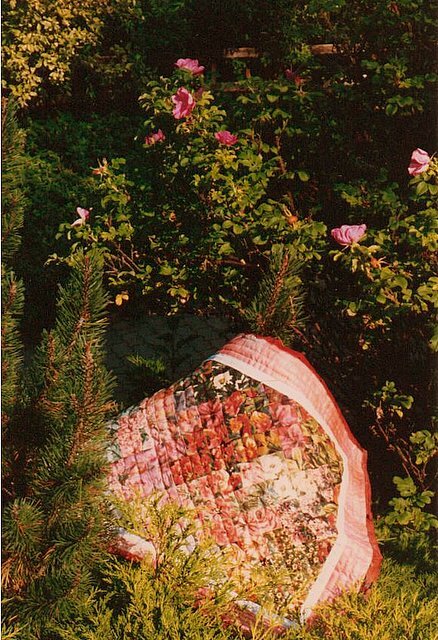 Here is a detail of the quilt and of some materials I used to bring Ronsard’s garden to life. 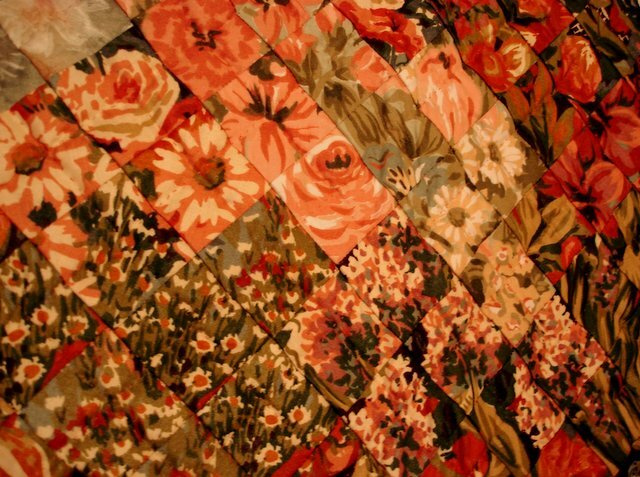 The greatest part of the work in creating an impressionist quilt is the choice of fabrics (with green background preferably) and the exact cut to give the illusion of a flower garden. The technique itself is relatively easy. Squares of 5x5cm sewed diagonally. I learnt about this new art of quilting in the very good book by Gai Perry “Impressionist Quilts” (C&T Publishing). Since then I sewed other impressionist quilts, always with the same pleasure. The first strophe of Pierre de Ronsard’s famous poem dedicated to the lady of his heart. It is a poem about time that passes. About youth that goes by. And about the present moment that should be lived fully. Skies always fascinated me. Maybe because I come from a country where the horizon is almost always limited by hills, forests or mountains. 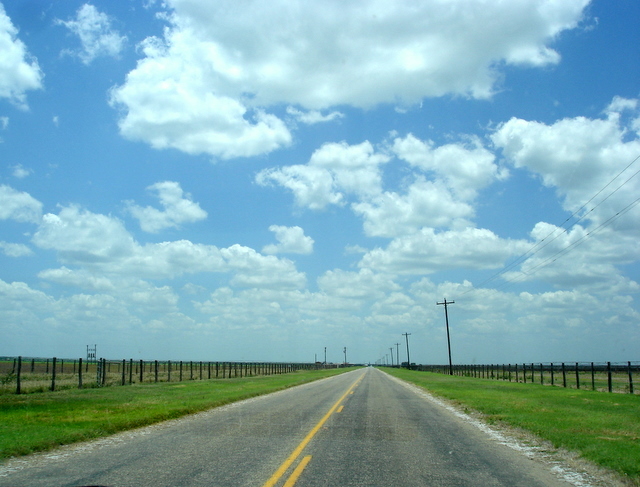 To see a sky as big and wide as in Texas (see below), you would have to go climbing on a mountain… Or go hiking, driving to one of those high alpine valleys. There you would get this strange and unique feeling of being somewhere between sky and earth. The vastness of Australian skies also made me wonder. Clouds looked different to me, as if more free to expand in all directions. 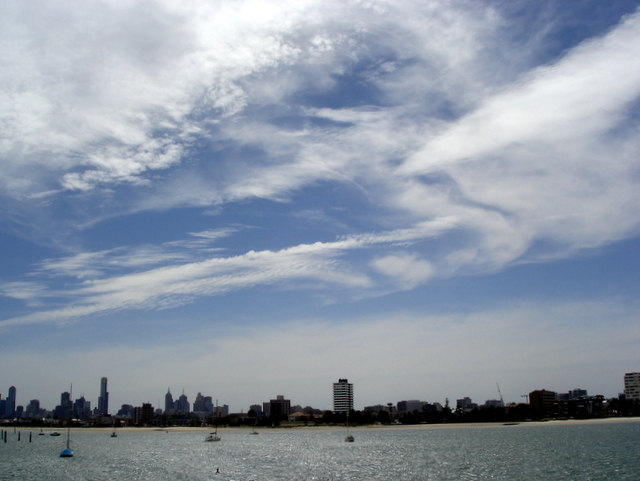 The clouds over St-Kilda, Melbourne just slid away in the immensity of the Southern hemisphere, ignoring the static world underneath. A sky I know well, at all times and all seasons. 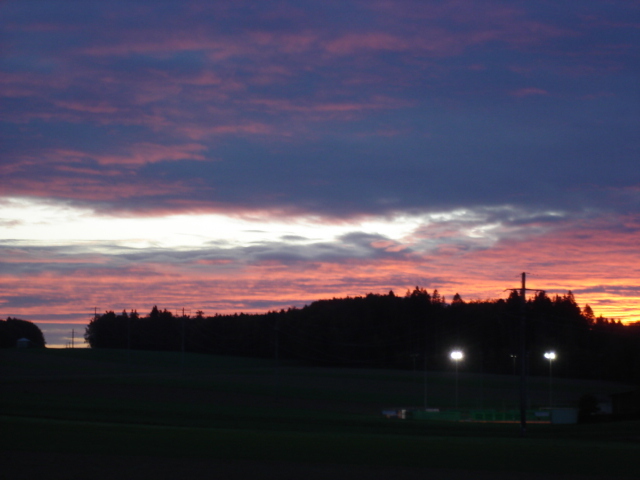 Vibrant colours of a sunset or dark clouds announcing a storm from the West. This is my part of sky as I open the windows facing South-West. The forest as a skyline. 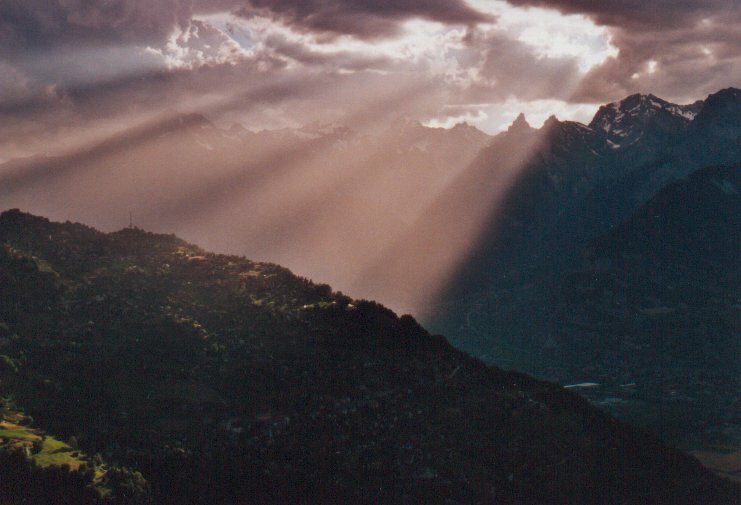 Here is a sky I never get tired of admiring in the Alps. Mountains are towering in a wide amphitheater. No soft and round hills here but a natural circus of peaks and glaciers. Some say they feel oppressed. If one looks above the mountains the sky shines or darkens like nowhere else I remember of. As if telling ancestral stories of continental drift. “As long as you are happy, you will have many friends.